Reception staff flat out with phone calls? Waiting room crowds wearing you down? Patient no-shows costing your practice time and money? Reduce reception workload and patient waiting times with online appointments. Increase patient attendance rates and reduce late cancellations with recalls and reminders. Enhance loyalty and continuity of care with targeted and relevant health messages. Means more resources to focus on better patient care. For scripts and referrals without in-person consultations. 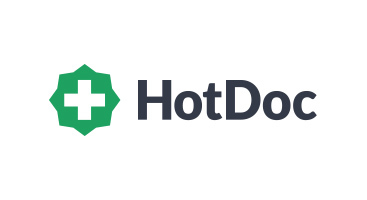 "Adding HotDoc to our existing MedicalDirector Pracsoft and Clinical solutions has been a game changer. It’s revolutionised our practice, had a positive impacton streamlining the patient booking process, helped increase the number of new patients and improve our overall digital footprint and online presence. We’ve also recently noticed a number of other efficiencies, particularly in the recall stage, which has significantly reduced the administrative burden for nursing and reception staff"